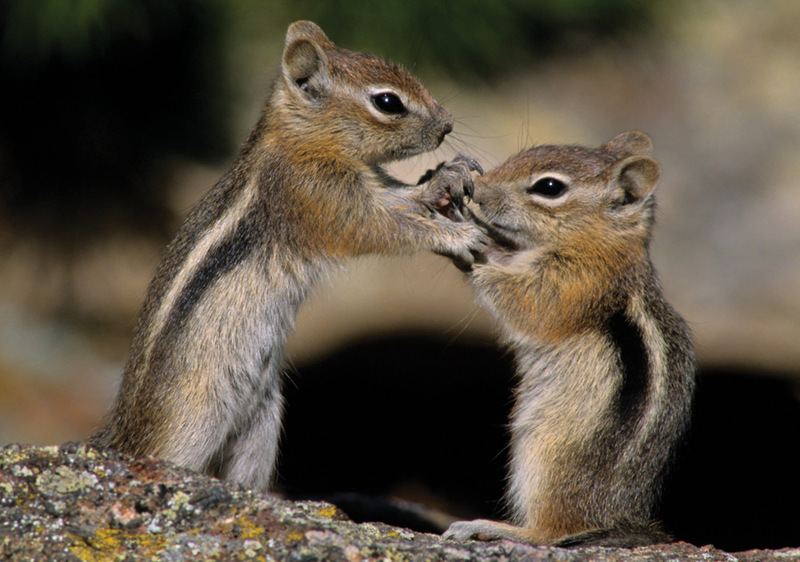 The golden-mantled ground squirrel (Spermophilus lateralis) is endemic to western North America’s mountains. 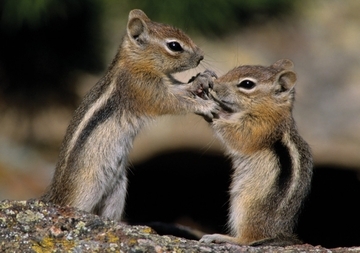 It’s a common sight in campgrounds, where it lurks just out of reach, waiting for you to turn your back on that delicious bag of nuts; give it a split second and it will fill its large cheek pouches in no time. It needs those calories to make it through winter, when it hibernates in an underground burrow. You can distinguish this squirrel from its cousin the chipmunk by its stripeless face, white eye ring, and golden or reddish head and shoulders.